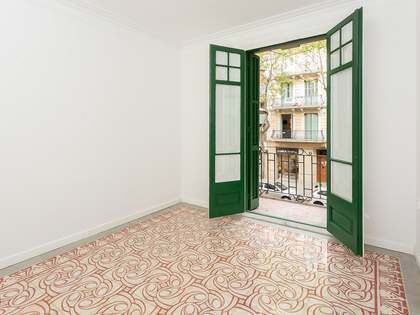 Newly renovated 3-bedroom principal floor property with a terrace and balcony, located in an up-and-coming Barcelona neighbourhood. 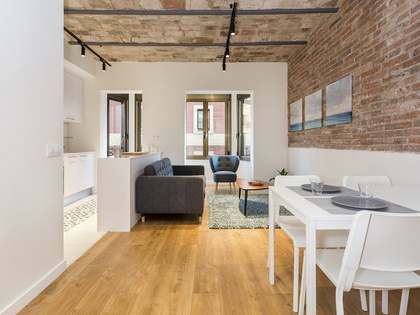 We find this newly renovated apartment of 116 m² on the principal floor of a well maintained classic building with a lift on Carrer Sepulveda, in the Sant Antoni area of Barcelona. 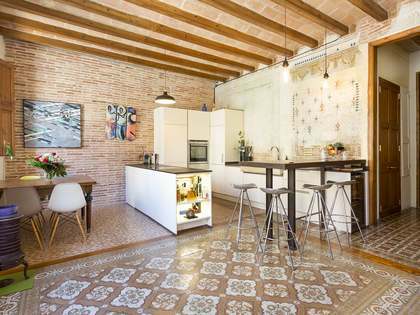 The apartment boasts high ceilings (over 3 metres) and has been beautifully renovated and completed with wooden flooring, porcelain tiles in the bathrooms, LED lighting, heating and air conditioning. On entering the property we find the fully equipped high-end open kitchen with a bar and the spacious living room – dining room with 2 access points to the 3.5 m² balcony overlooking the street. Directly in front of the living room there is a small room that would be suitable as a single bedroom. Returning to the large entrance hall we find a storage area with a window overlooking the private interior patio. On the right we find a small double bedroom, also with access to a private interior patio. Just in front there is an interior study area. Then we have the laundry room and area for the boiler and a bathroom. Moving on we find the master suite with its complete bathroom, a bedroom, dressing area and a terrace of approximately 13 m². The renovation has carefully restored the original carpentry and exposed brick walls for added charm and character. 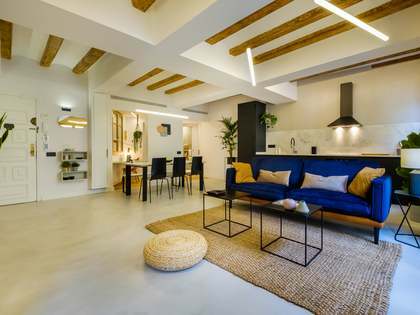 Contact us for further details of this very attractive renovated apartment in an exciting neighbourhood of Barcelona City. 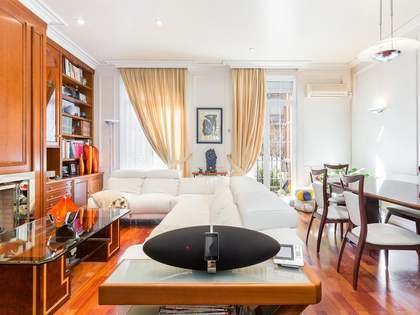 This property is loctaed on Carrer Sepulveda, between Comte Borrell and Viladomat, which is a popular area between the Rocafort, Urgell and the Sant Antoni metro stations. 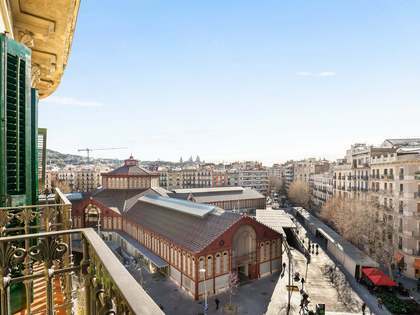 It is just a couple of streets away from the Mercat de Sant Antoni that has recently opened and Comte Borrell that will be pedestrian from Gran Vía to Parallel, making this an area that will soon gain a lot of value.